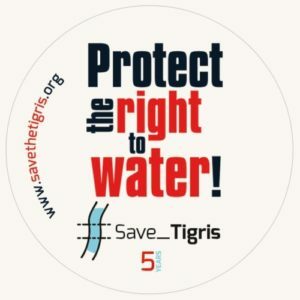 “I have a dream… I have a bicycle” was the slogan of the young Baghdadis as they rode their bicycles through the streets of Baghdad in the morning of Saturday Feburary 4, 2107. Their goal was to break social taboos and restrictions against girls and women riding bicycles in public. Haider Ali, one of the organizers and member of Sport Against Violence, explained: “This bicycle race promotes sport and a healthy way of living. 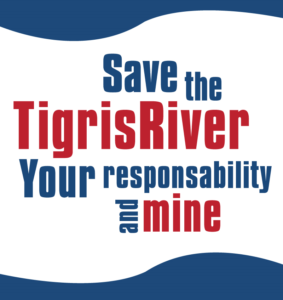 But mostly, it advocates for Iraqis right to exercise their freedoms as citizens of this country, as well as to show a different image of Baghdad, different from wars and explosions. 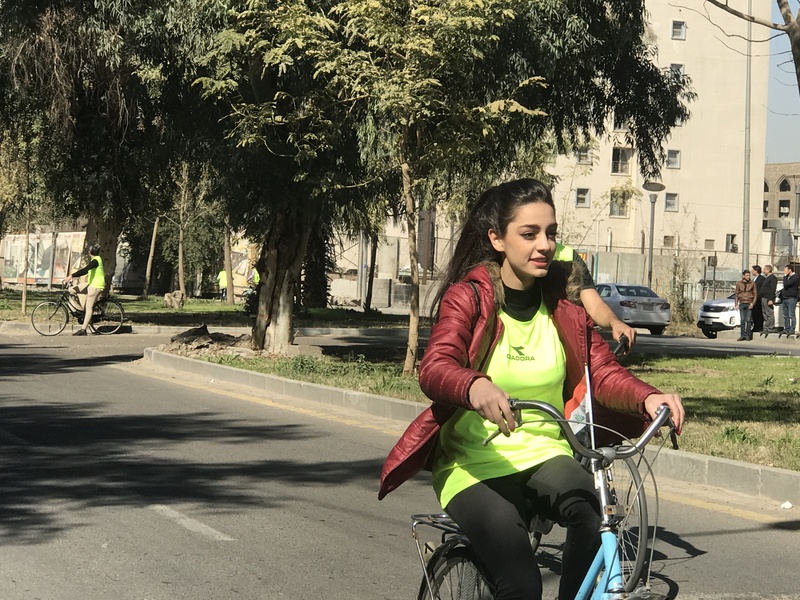 Baghdad can be a city of peace.” Young people, artists, journalists and athletes participated in the event, expressing their solidarity with the women of Baghdad to exercise their right to ride a bicycle! 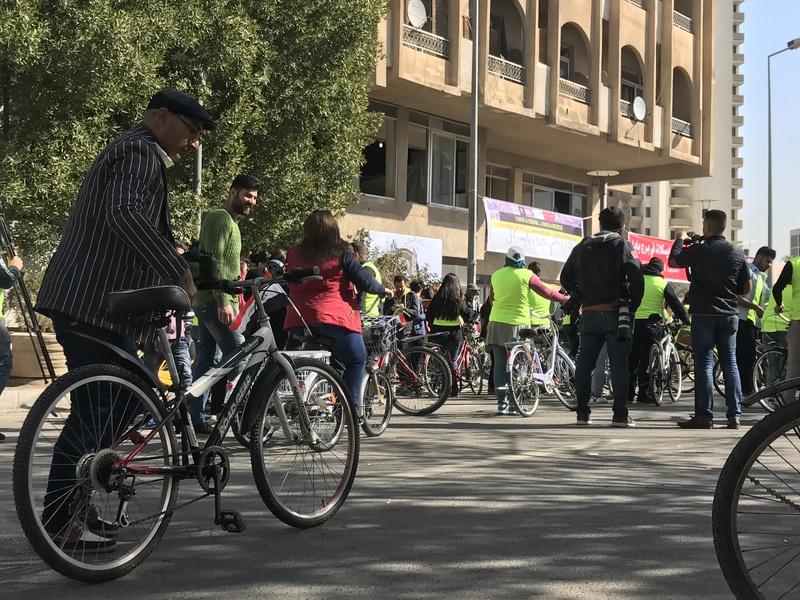 Haider Ali added that Sports Against Violence had planned for this event weeks ago, together with artists, civil society organizations and volunteer groups, such as Tower of Babel, Baghdad Road Bike Team. The event was due to take place in January, but it was postponed because of the kidnapping of the journalist Afrah Shawqi – who was one of the organizers. The event took place in the streets of Abu Nawas, in the center of Baghdad. More than 300 people from both genders rode their bikes in the street. On the sidelines of this event, artist Mohammad Al-Maoyasar opened his exhibition that showcasing his paintings of bicycles in the hall of Tower of Babel.